L-R: Newly appointed IGP Martin Okoth Ochola, Security minister Elly Tumwiine and Deputy IGP Sabiiti Muzeeyi at parliament for their vetting. The newly appointed minister for Security, Gen. Elly Tumwiine says that collaboration will cure the increasing insecurity in the country. Tumwiine was speaking to journalists at parliament immediately after his appearance before the Appointments Committee chaired by speaker of parliament Rebecca Kadaga on Wednesday. Following a one-hour interface with the committee, Tumwiine, one of the longest serving members of parliament said that he enjoyed his time in the committee and awaits its decision. Asked what he is going to do to ensure security in the country, Tumwiine emphasised the need for leaders and all Ugandans to work together for the country’s security. “All of us, using the good will I see, should come together and work for our country together instead of doing it in a divided way. Divided we have insecurity, united we have security. The security concern mainly is to give people assurance that there’s going to be a good team, good working together, good coordination…,” said Tumwiine. 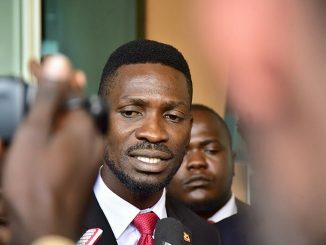 He assured Ugandans that he is going to work together with other security heads in the country to ensure that the prevailing insecurity in the country is solved. President Yoweri Museveni on Sunday appointed Tumwiine as minister for Security, replacing Lieutenant-General Henry Tumukunde, who has been in the docket since June 2016. Gen. Tumwine has, in different media interviews since his appointment, emphasised the need to work closely with all Ugandans in the fight against rising insecurity in the country. He said that he is to mobilise and marshal goodwill of the public to bring back security to order. “We have many advantages than before – easier communication than never before. Media, if you [must] and I repeat, I repeat again, report both the bad and the good. Then we have a balanced community so that you don’t only give an impression that the country is on fire when actually a lot of good things are going on. 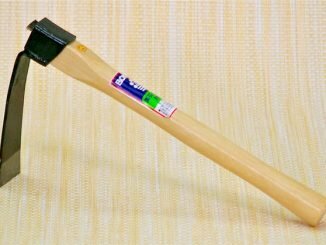 So that is what I request that we work together to improve our security.” he said. Until his appointment as Security minister, Tumwiine was working as senior presidential advisor, army member of parliament and member of the Military High Command. Tumwiine joined the army in 1979, among the cadets who were sent to Tanzania for military training shortly after the fall of the Idi Amin government. Other cadets with whom he trained include General Katumba Wamala, Lieutenant-General Ivan Koreta, Major General Pecos Kutesa and the late Brigadier Clovis Kalyebara among others. In February 1981, a group of 41 men headed by Museveni attacked Kabamba Military Barracks in Mubende district marking the start of what would become the five-year bush war against the government of Milton Obote. Twenty-seven of these men, including Tumwiine, were armed while the rest were not. It is Tumwiine who fired the very first shot of the war on the morning of February 6, 1981 at Kabamba Barracks. He would suffer injuries and lose an eye in the course of the war that climaxed with the rebel army’s victory in January 1986. In 1984, Tumwiine was named commander of the rebel National Resistance Army (NRA), a post he held until 1987 when he was succeeded by Gen Salim Saleh. He has over the years served in various positions including minister of State for Defence in 1989, director general of the External Security Organisation (ESO) from 1994 until 1996, presidential advisor from 1996 until 1998, chairman of the High Command Appeals Committee from 1986 until 1999 and chairman of the General Court Martial in 2005. He has also continuously represented the army in the Ugandan parliament since 1986. In September 2005, he was promoted to the rank of General in the UPDF. Tumwine is also an artist and while serving as the Commander of the NRA, he designed the flag, the emblem and the green and camouflage uniforms of the army. He was appointed chairman of the board of trustees of the National Cultural Centre. In 1992, he launched his company, The Creations Limited, to promote the arts and crafts industry, encouraging artistic values and creativity. Speaking to journalists at parliament, Tumwine who sang his favourite song ‘Kino Kyekisela’ promised to continue with his music and art. Unlike Tumwiine, newly appointed Inspector General of Police Martin Okoth Ochola today declined to speak to journalists after appearing before the Appointments Committee. 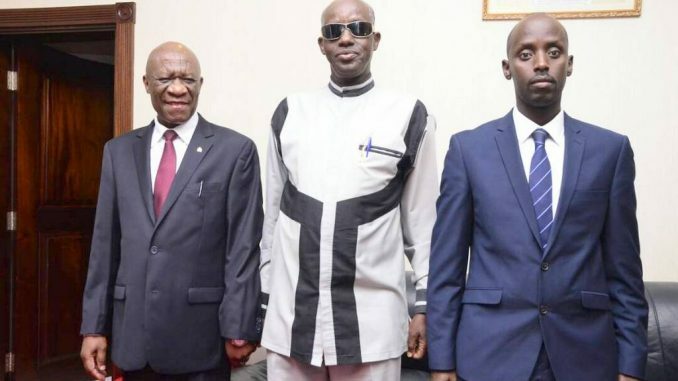 Clad in a navy blue suit matched with a white shirt and a maroon tie, Ochola interfaced with the committee for close to an hour. When asked by waiting journalists to address them about his interface with the committee and what he plans to do in the police force as IGP, Ochola simply walked away telling journalists to find him at the police headquarters in Naguru. 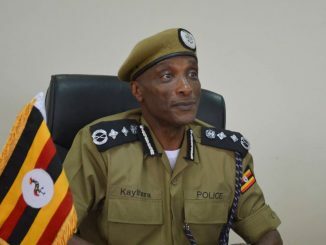 Ochola’s appointment has since Sunday been received with scepticism among sections of the public with some people saying that they do not expect any drastic changes in policing, considering that he has been part of the Police administration under the sacked General Kale Kayihura. Some have alluded to the appointment of Brig Sabiiti Muzeyi as his deputy, who some say will be the de facto IGP given his closeness to the first family. Others however welcomed Ochola’s appointment saying that given he is a career police officer with 30 years of service, there is hope for better policing. If approved by parliament, Ochola is to face a number of tasks that need to be addressed in order to restore the image of the police as well as public trust in the institution that seems dwindling. Among the tasks ahead for Ochola is to fight brutality in the police force, human rights abuses, corruption, excessive use of force, misuse of fire arms, appalling welfare among others.